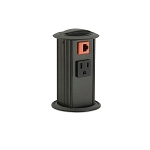 If saving space is a big part of cable management, then perhaps this product will help. 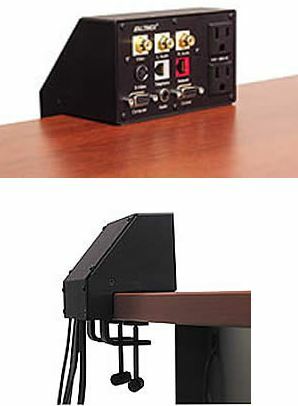 The Table Buddy™ Tabletop Interconnect Box from Altinex clamps onto the side of any desk that is equal to or less than 1.5” thick. 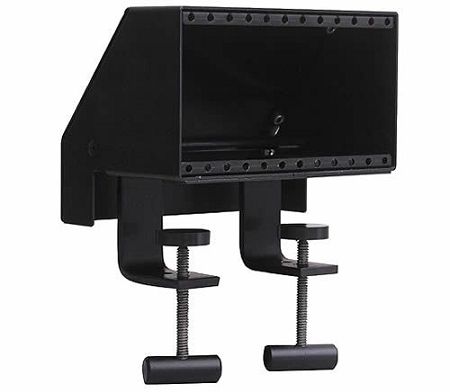 This Altinex audio/video unit can also be installed for fixed and/or permanent solutions, able to be fastened with two clamps or screwed in with wooden screws. Finished with an anodized black color, the Table Buddy Tabletop also looks great in professional settings. Made for customization, install up to 6 sectional panels (sold separately below) into the Altinex Interconnection box for personalized configurability. 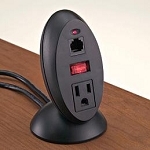 These sectional plates include combinations of audio, video, computer and AC power connectors; turn this simple Table Buddy unit into a whole power house for a number of jobs and applications. 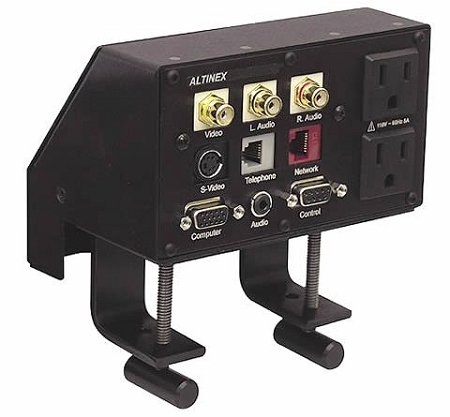 Easy to install, you can’t go wrong when modifying an Altinex TableBuddy Tabletop Interconnect Box and your workstation. For product dimensions, please click the "More Information" tab. All custom product sales are final and cannot be returned for credit. Factory configured products may be returned for credit within 30 days of shipment, and are subject to a 35% re-stocking charge if unopened, and an additional $250 (USD) if returned opened. Orders cannot be cancelled except with our consent. Cancellations are subject to a possible service charge. Cancellations of custom orders and/or special items may be subject to forfeiture of deposit.